Towering over Lake Michigan, W Chicago Lakeshore radiates what's new/next in the city at the water's edge. 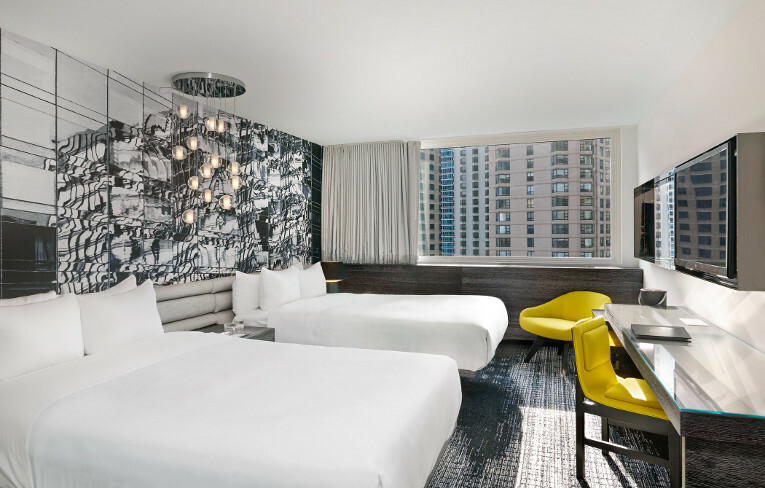 Here urban energy collides with a glamorous escape. Tall shadows of the looming skyline cascade onto the glittering waters of Lake Michigan, reflecting and revealing layers of the city's architectural ingenuity. 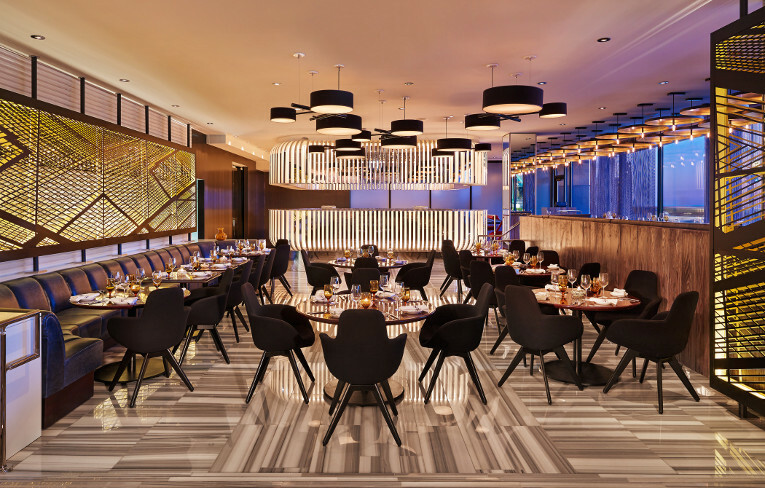 Guests who enter into W Chicago's restaurant CURRENT, which is a lively and inviting space, they will notice interesting design details inspired by the restaurant's prime location situated between sprawling Lake Michigan and the stunning Chicago skyline. With the use of cool tones and highly reflective polished chrome mixed with earthy stone and silver-washed wood, CURRENT will invoke a modern and funky vibe for its guests. 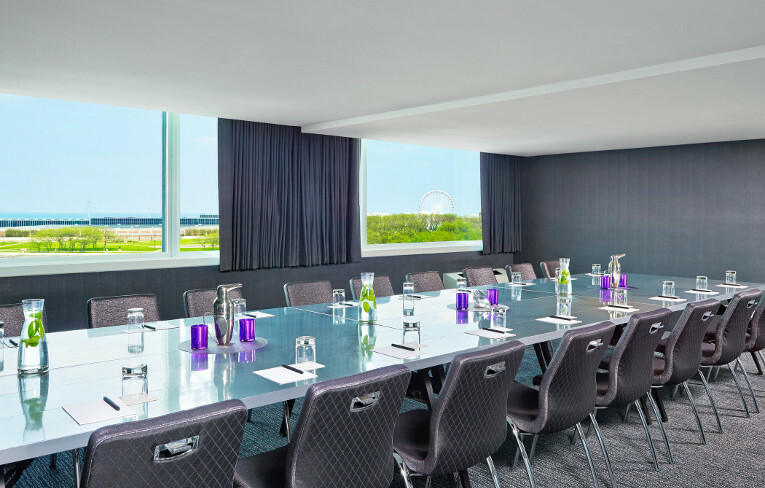 W Chicago Lakeshore has all of the space and technology you need to energize your attendees while allowing them to meet, greet and connect with panoramic views of the city. 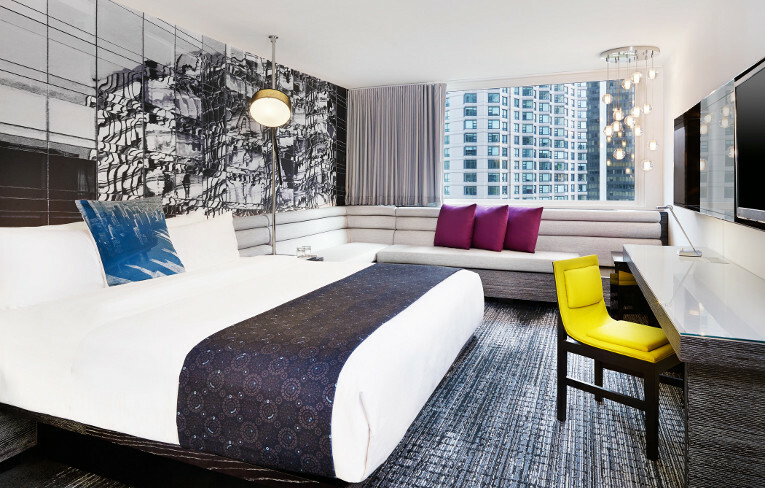 The diagonally-slanted windows create a frame for a spectacular view of Chicago - allowing you to take in the changing panorama of Lake Michigan, Navy Pier and the glittering night skyline. Witness the edge. Perched on the brink of city lights and the shores of Lake Michigan, you can absorb a sensational view of Chicago's two most remarkable marvels. 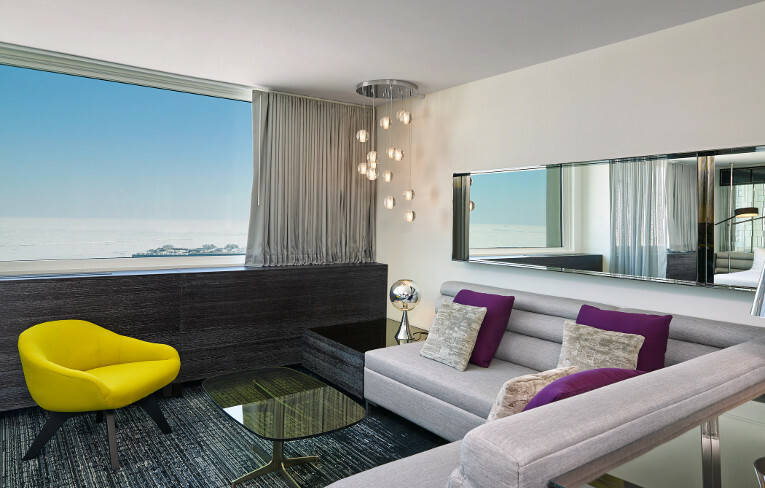 Dangle in the city lights from the Wonderful room's view of the city's bright skyline or bask in your room's Spectacular view of Lake Michigan's deep blue water. True to its name, CURRENT will feature a fresh, modern take on seasonal Italian cuisine showcasing Chef Gregory Elliott's simple & soulful ingredient driven dishes. With its bold flavors and stunning backdrop it is no surprise that CURRENT is a go-to for both locals and travelers alike. 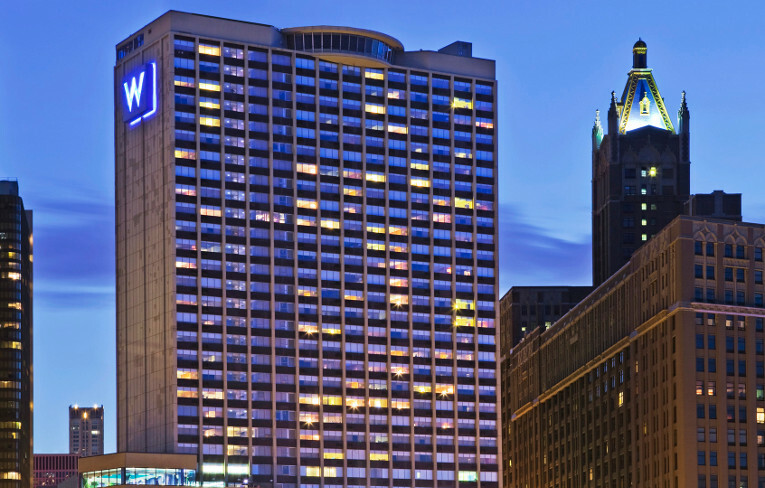 W Chicago Lakeshore has all of the space and technology you need to energize your attendees while allowing them to meet, greet and connect with panoramic views of the city. 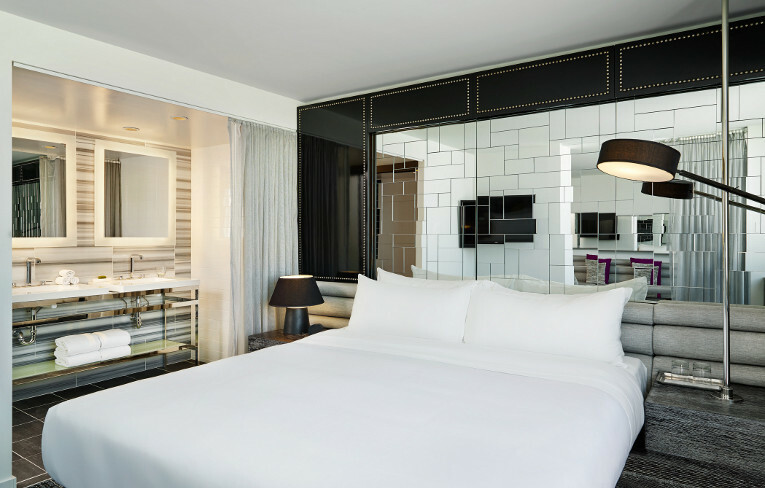 The diagonally-slanted windows create a frame for a spectacular view of Chicago - allowing you to take in the changing panorama of Lake Michigan, Navy Pier and the glittering night skyline. Whether it's a quiet Chicago meeting for two or the social event of the season, we have the space and the service to wow your attendees. 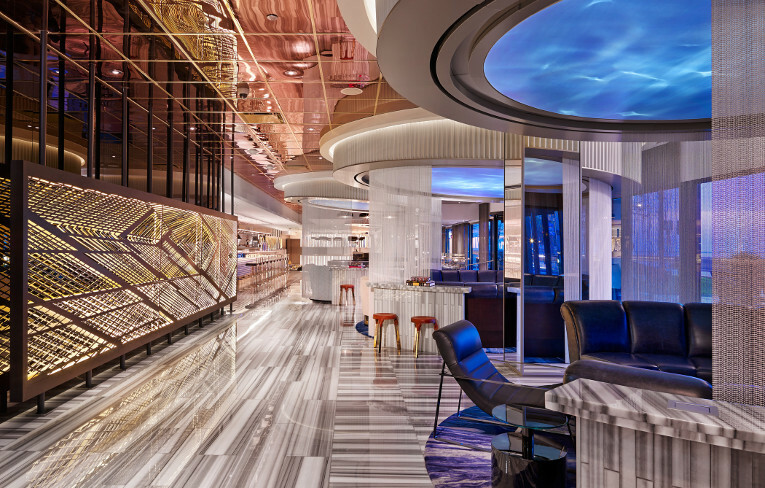 Experience the dynamic new W Chicago Lakeshore Living Room Bar. Catch a DJ spinning on a Friday night, sip creative cocktails, or ray in the rockers facing the radiant Lake Michigan.